Turning thirty? 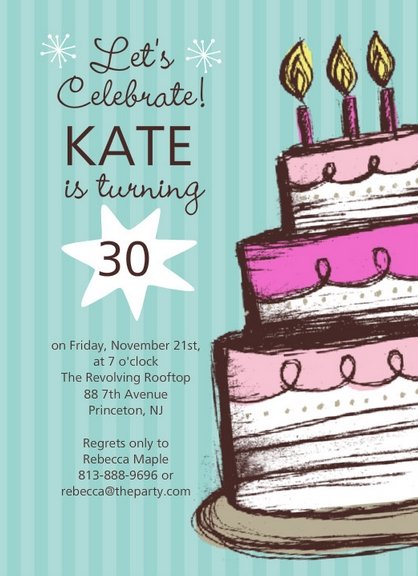 Embrace this milestone birthday with one of these fun, creative, and unique 30th birthday ideas! With thirty to choose from, you’re bound to find one that suits your tastes. Plan a trip to your favorite campsite or pick a place you’ve always wanted to go but never had a chance to. Make it an intimate affair or gather a large group of friends together. If you’re itching to explore a new destination, check out this list of The 26 Best Places to Pitch a Tent in the U.S. Celebrate with friends and family at all of your favorite bars with a 30th birthday pub crawl. 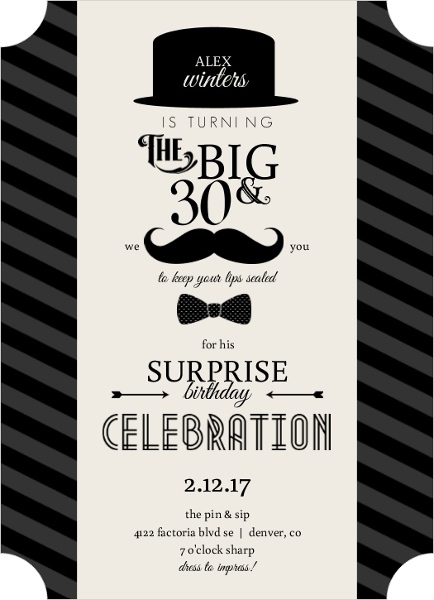 Map out your master plan on custom 30th birthday invitations from PurpleTrail.com. Relax, grill, and eat your way into your thirties with a backyard BBQ celebration. Are you a wine aficionado? Take a tour of a nearby vineyard. Embark on the next decade of your life while sampling your favorite spirits and learning more about how they are made. 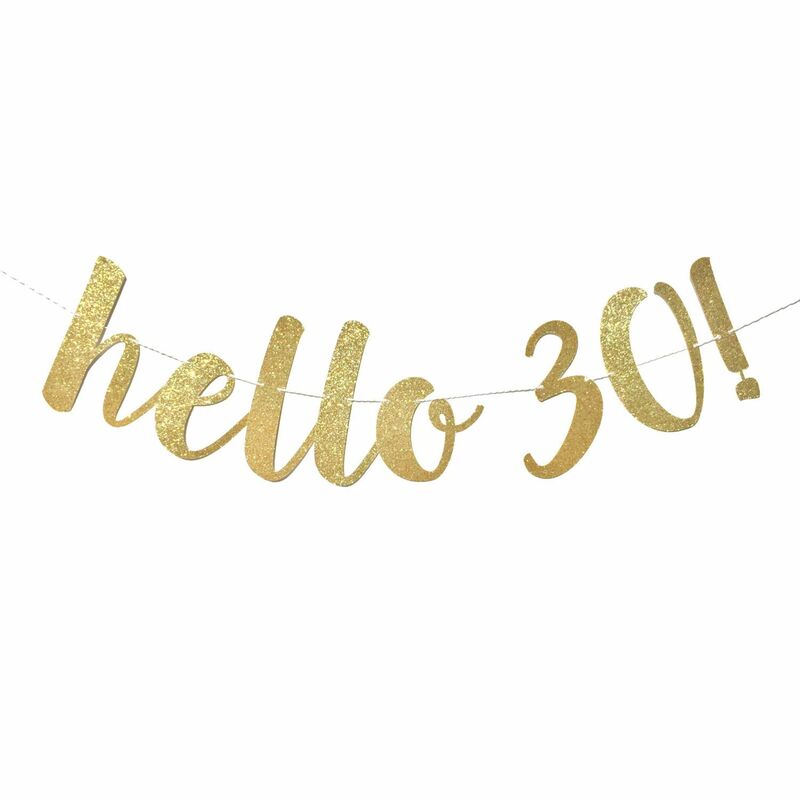 If your favorite band’s on tour or there’s a music festival you’ve always wanted to check out, there’s no better time to do so than your 30th birthday. Music festivals are a great place to celebrate. They include food, drinks, entertainment, and a crowd in the mood to party. The upbeat atmosphere will give you a chance to let loose, have fun, mingle, and maybe even forget about getting older. Check out the website Festheads to find a music festival that’s right for your 30th birthday. What better way to forget about getting another year closer to death than by focusing on someone else’s on your city’s local ghost tour. Check out this list of the Top 10 Ghost Tours in the U.S. for inspiration. Hand Drawn Cake Birthday Party Invite by PurpleTrail.com. A perfect choice for the musically inclined, karaoke is a great way to celebrate. Throw a karaoke birthday bash with all of your friends at your favorite bar or at home, if you have a karaoke machine. Check out a nearby amusement park and ride the biggest roller coaster there. Explore this list of the Top 10 Amusement Parks in the U.S. for inspiration. Turn thirty while bonding with friends on the open road. Travel somewhere you’ve always wanted to see. Try incorporating some of the spots listed on Forbes.com’s Top 10 American Road Trips into your journey. Take a tour of a local brewery. You may be surprised to find that beer is not only delicious, but also interesting. Brown Beers Cheers Birthday Magnet by PurpleTrail.com. Take off of work and plan an epic 30th birthday vacation to a place you’ve always wanted to go. Make your trip more interesting by traveling via train or boat. Bring a few friends along for company. Stay at a cool hotel you’ve never been to. There are tons to choose from, with the rising popularity of boutique hotels and the abundance of haunted hotels and historic hotels. Take a look at our list of the best historic hotels and most haunted hotels in America for more ideas and inspiration. For the sporty, daring, or adventurous birthday honoree, a skydiving or zip-lining session is advised. Such an extreme experience will bring you and your friends closer and leave you feeling ready for anything — even turning 30 will seem like a piece of cake. 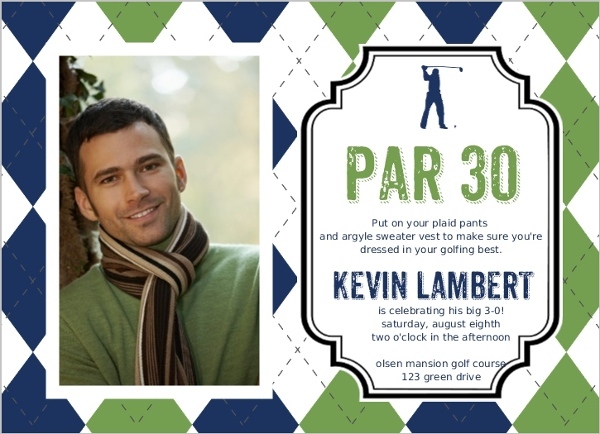 What better way to enter your thirties than with tons of cash and prizes! 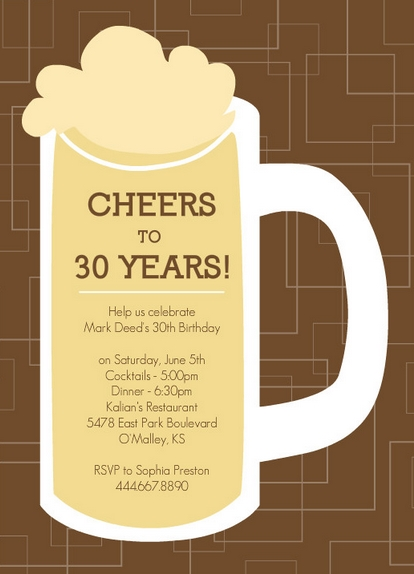 Plan a Hollywood 30th birthday party and stop by the Price Is Right to see if there’s space in audience. Learn how to get free tickets on their official website. Before the show, audience members get interviewed in groups of 15. Based on the interview, producers will pick nine contestants for the show. There are a few things you can do to increase your chances of being selected. Check out this post for more details. 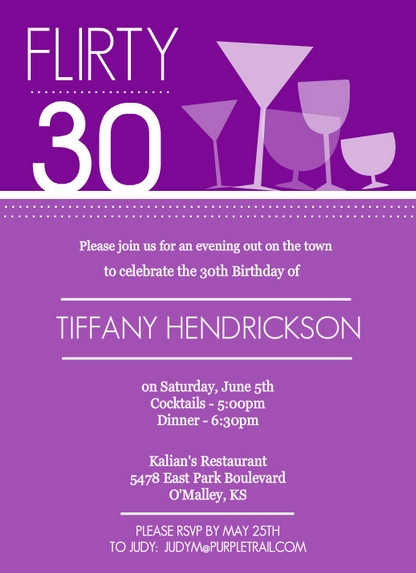 Purple Happy Hour Drinks Birthday Invitation by PurpleTrail.com. Go to a renaissance fair to experience life in a different time. Most offer plenty of theatrical entertainment, fun medieval garb, arts and crafts, and a truly unique setting that will make your 30th birthday unforgettable. Plan an epic hike for your 30th. Choose something challenging. A strenuous trek up a mountain or rugged trail will leave you feeling strong, in shape, and ready for whatever life throws at you in your thirties. Ride away from your troubles and cares on horseback. Gather a group of friends and find a ranch or horseback riding facility nearby. Most offer quiet natural settings with picturesque views that will help you forget all about getting older. If there are any cooking classes in your area, take one with a group of friends. You’ll learn how to cook a few new dishes, bond with fellow foodies, and eat good food with good people — what more could you ask for? Check out a nearby museum or traveling exhibit with friends and family. Whether you need to vent frustration or are simply looking to have some fun, an intense round of paintball will do the trick. Take a group of pals to a paintball arena in your area for a fun-filled 30th birthday. Slide into your thirties downhill skiing or snowboarding; for the faint of heart, snowshoe or cross country ski there instead. If there’s an indoor rock climbing gym in your area, let your fear of getting old melt away as you push yourself to your vertical limit. Take a group of friends along for company and support. Visit a tarot card reader, medium, or palmistry expert to find out what your thirties hold for you. Get in touch with the benefits of massage, which include stress, anxiety, and muscle tension relief, among other things, on your 30th. From Comic Con to PAX Prime, Cthulhu Con, and the Official Star Trek Convention, America is bountiful with fun, nerdy festivals that offer plenty of fun for a fan boy or girl approaching their 30th. Show yourself that age is just a number by running a marathon (5K or half marathon) for your 30th. Make your birthday more interesting by attending one of these unusual marathons instead. Learn how to dance with a group of your best friends. Then, try out the moves you learned later as you hit the town for your 30th. Celebrate your birthday with laughs at your favorite nearby comedy club. Or, if you’re willing to take a trip for the sake of good entertainment, check out this list of America’s Best Comedy Clubs. Relax on a beach, if you live near one, or travel to a warm destination for the sake of your milestone birthday. For an active alternative, go paddle boarding, surfing, or snorkeling with friends. Treat yourself to your favorite dish at your favorite restaurant. 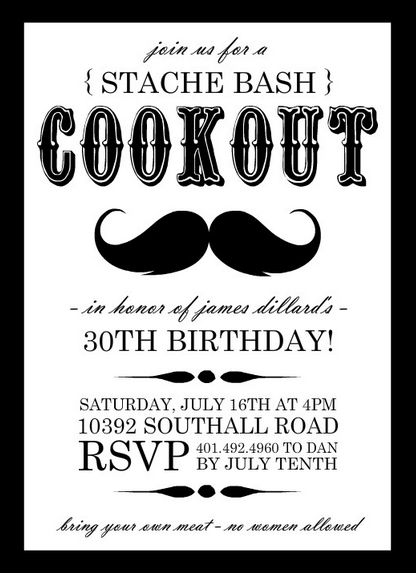 Although it’s one of the simpler 30th birthday ideas, it’s just as good as the rest. There’s something special about dining at your best-loved restaurant. Celebrate your 30th with the acquisition of a loyal companion. From learning to nurture to good company and cuddles, pets have a lot to offer. Go shopping with friends and buy yourself something nice. For a more enjoyable shopping experience, travel to one of these Top 10 US Shopping Malls. Hopefully these 30th birthday ideas left you feeling inspired! Have a great birthday. Good luck party planning.